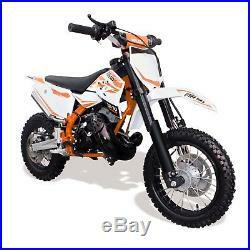 KIDS Track Ready 9hp 12000rpm Dirt Bike with 12/10 WHEEL SET UP Hydraulic Front/Rear Brakes Rear Foot Brake. 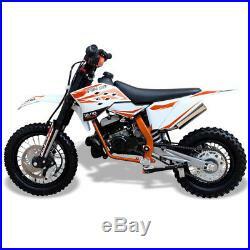 The Falcon FTN50 is a professional motorbike for children aged 12+. 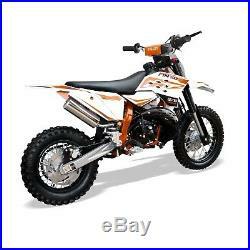 It is a replica of the KTM 50 but it cost 80% less!! The best materials have been used during the construction of this motorbike so that the small 2-stroke 50cc engine has 9hp (12000 rpm)!!! The automatic transmission ensures comfort and safety on any type of terrain. If your child has already had experience in riding motorbikes and you are looking for one to excel them into the world of motocross at a reasonable price, your choice should only be The Falcon FTN50. 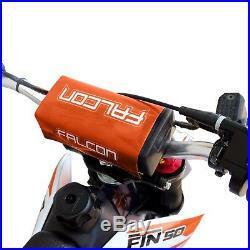 Riders and Rollers carry all Falcon Dirt Bike parts. 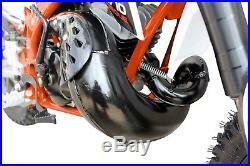 Engine: 50cc Air cooled, single cylinder 2 stoke. Rated power and rotate speed: 9HP/9000rpm. Tank capacity:1.3LCompress ratio:11+/-0.6 :1. Wheels [front & rear] : 60\100-12'/80/100-10. 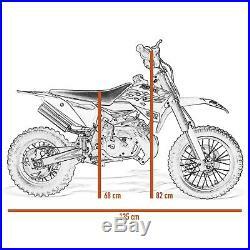 Seat height: 610mm Max distance from ground: 25cm. 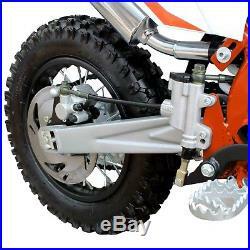 Brake system (front&rear): Hydraulic brake Rear foot Brake. Dimensions (L x W x H): 1280640820mm. 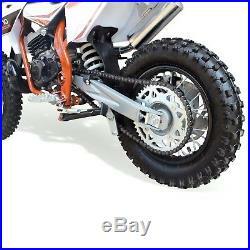 Suspension - Front: Hydraulic upside down Forks/ Rear Shock. Terrain - Off Road & Tarmac. Throttle Type - Twist Throttle. A mechanically able person will be required to carry out the assembly and maintenance of this product. You should be prepared to maintain and fit parts to this product when required. If you are unable to maintain please check out our low maintenance Electric models. Note: This product is NOT road legal. 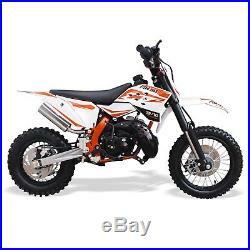 The item "50cc Kids Dirt Bike Big 12/10 Wheels, 2 Stroke Kick Start Hydraulic Brakes/Forks" is in sale since Thursday, November 22, 2018. This item is in the category "Toys & Games\Outdoor Toys & Activities\Ride-on Cars\Electric & Battery Powered". 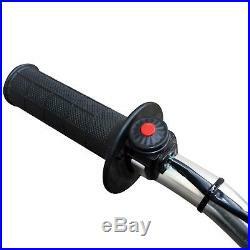 The seller is "ridersandrollers1" and is located in Birmingham . This item can be shipped to United Kingdom.